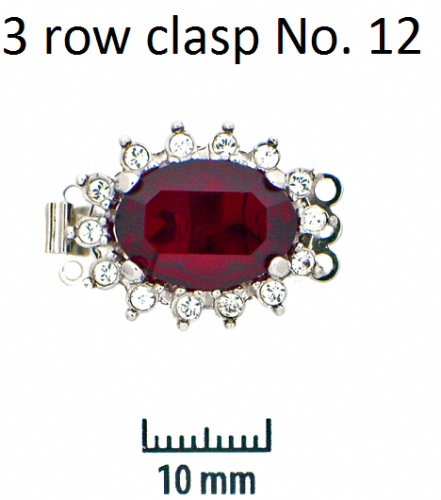 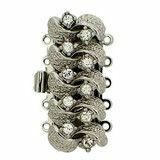 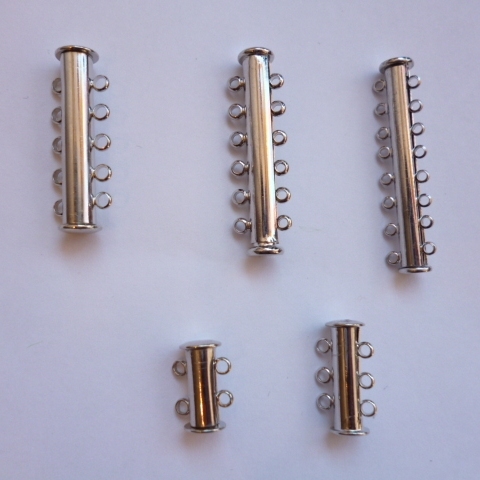 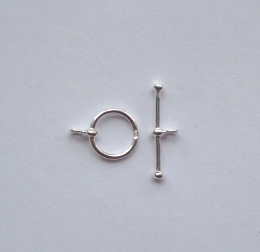 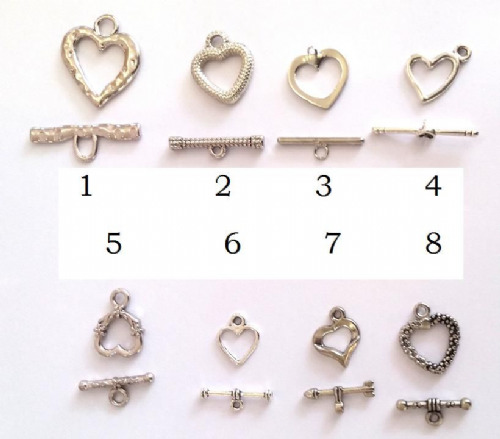 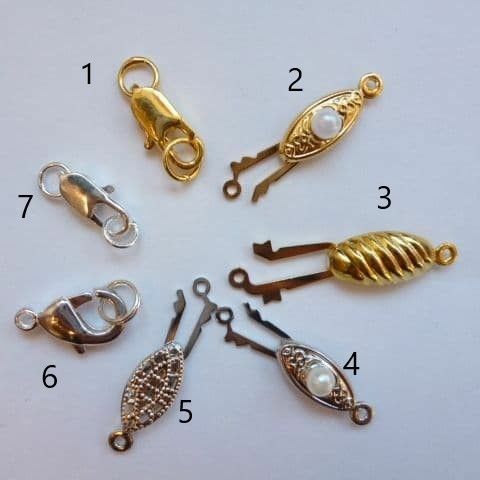 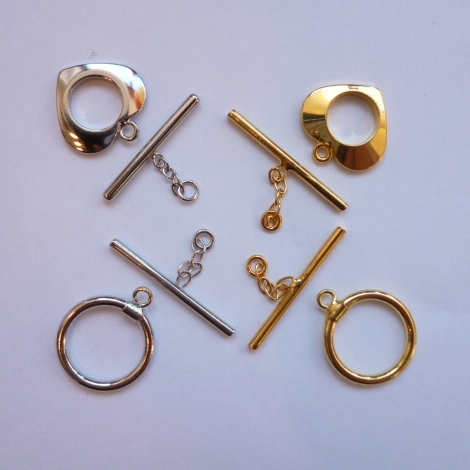 If you want to renew or replace the clasp on your necklace or bracelet, there's a good range available. 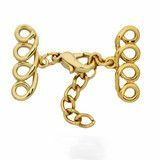 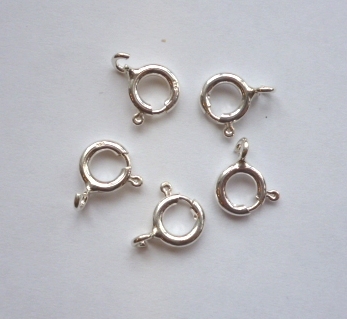 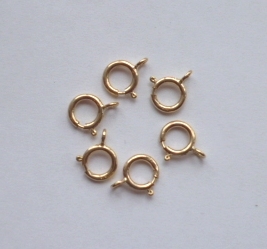 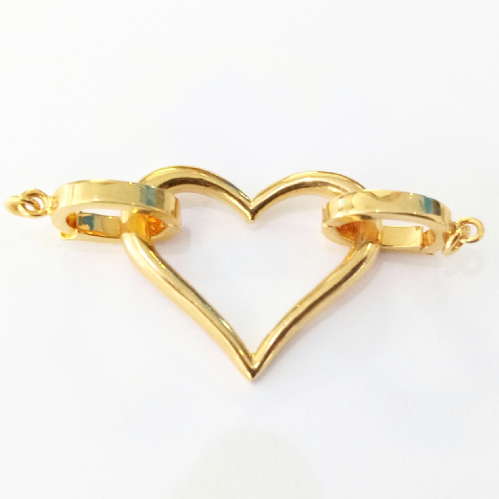 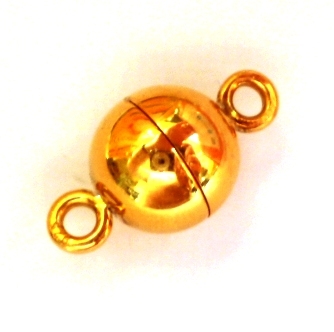 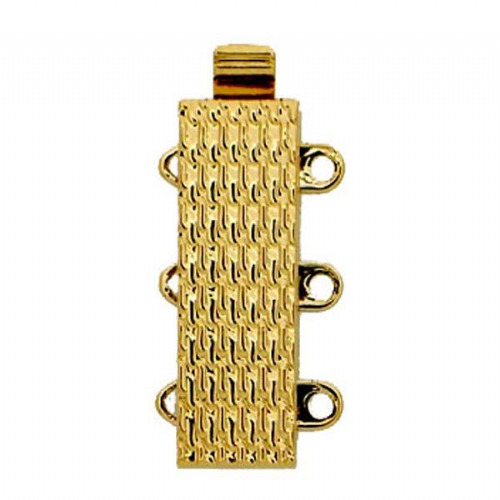 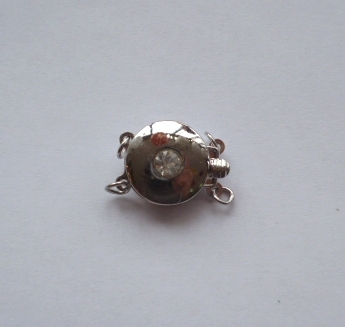 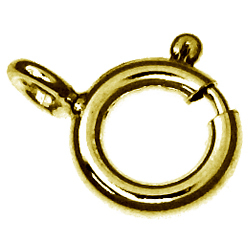 A 9 carat gold spring-wheel clasp starts at only £6.90 for a small size and Sterling silver clasps start at less than £5. 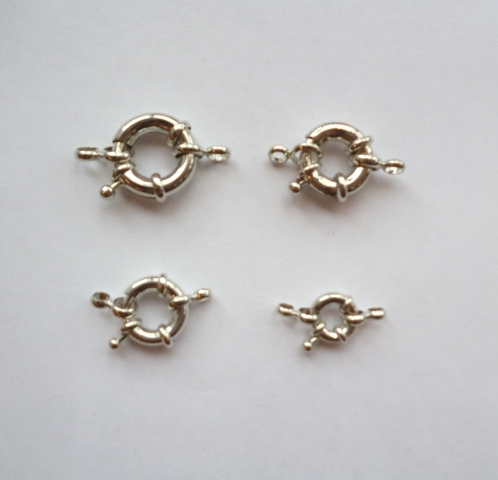 It's sometimes possible to fit a new clasp without the need to re-string your pearls (or other jewellery) but restringing is usually required. 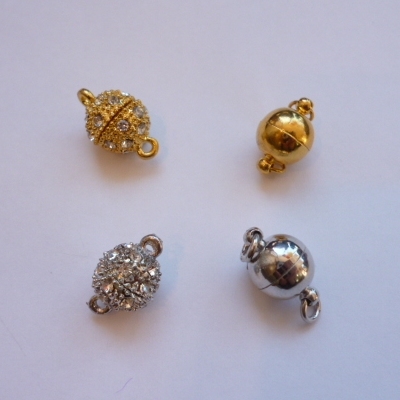 Please call 01667 451851 between 10 am and 4 pm, or e-mail. 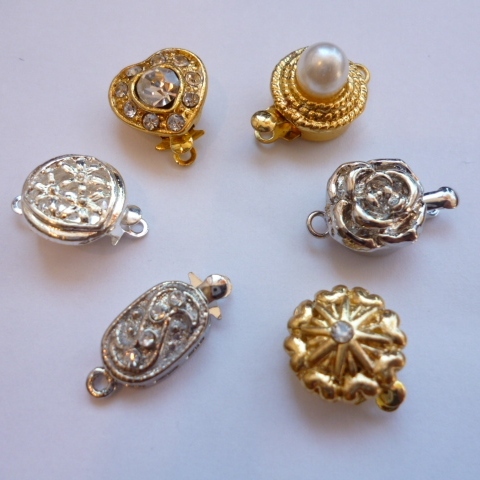 We'll do our best to advise you. 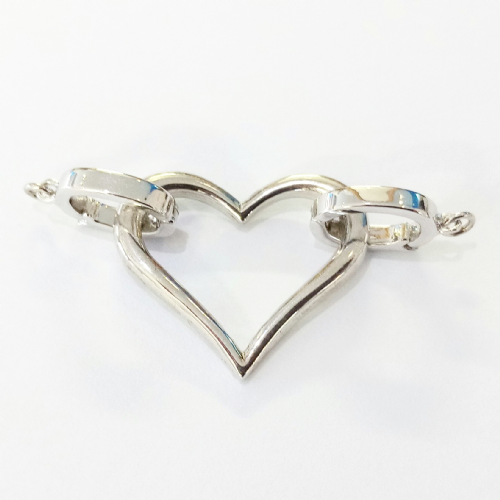 If you order a necklace or bracelet from our online shop, and you'd like it with a different clasp from the one offered, please let us know. 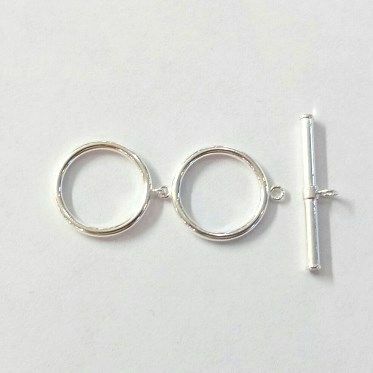 We'll fit the one you want. 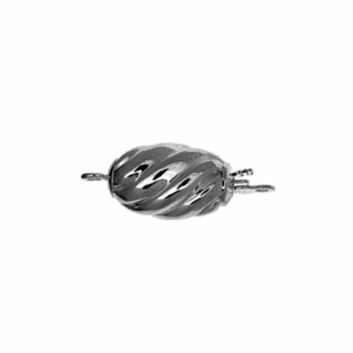 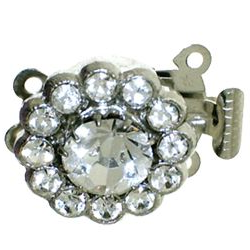 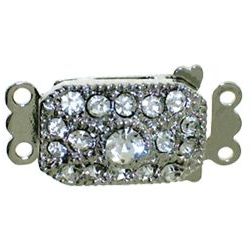 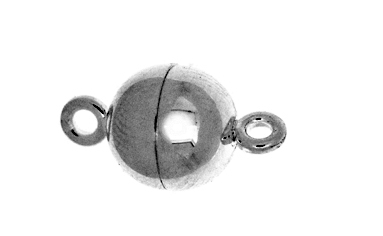 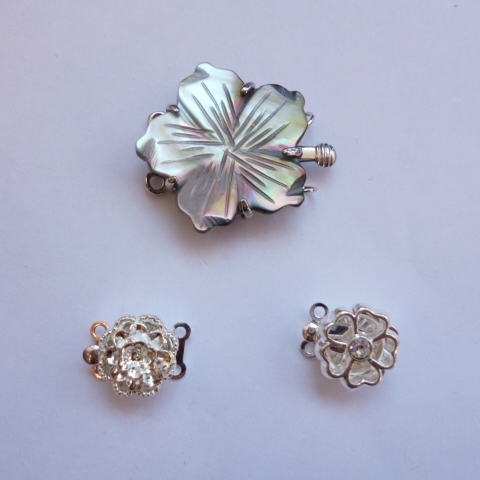 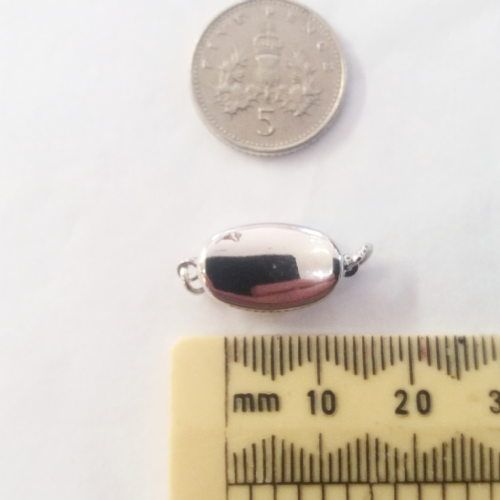 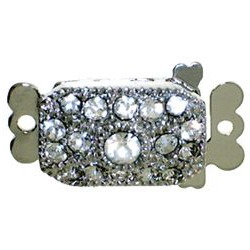 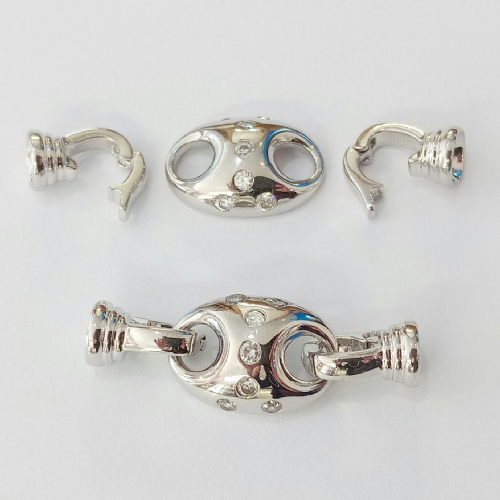 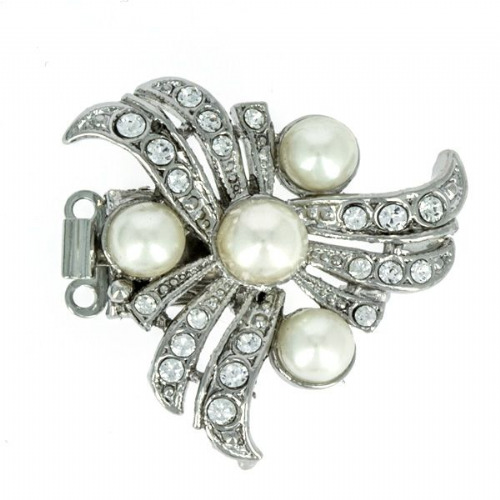 All our clasps are nickel-free and also free of lead or cadmium. 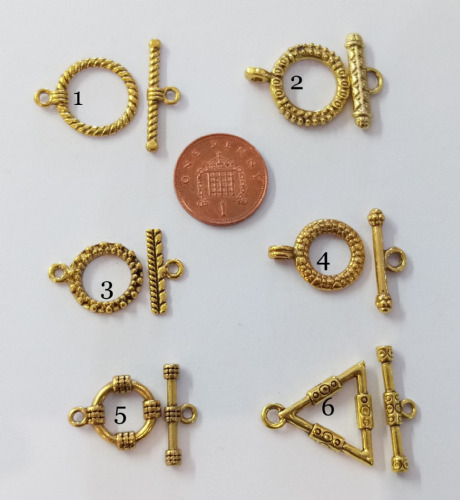 Here are pictures and prices of current stock. 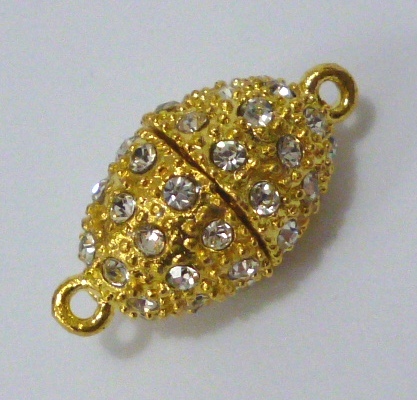 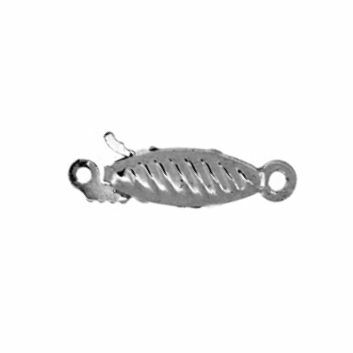 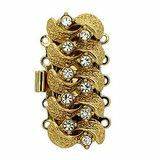 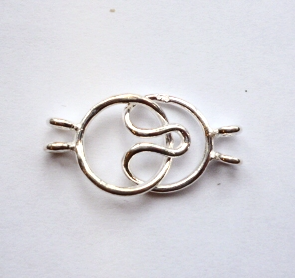 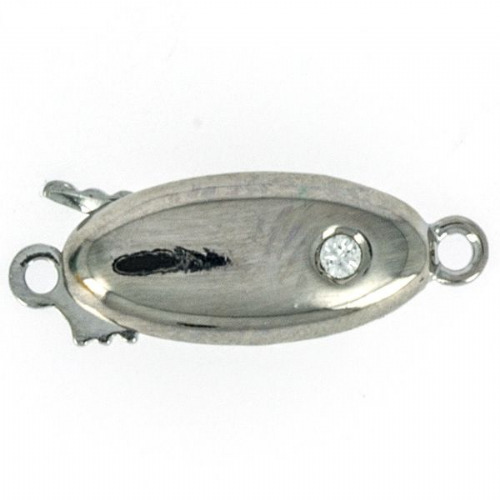 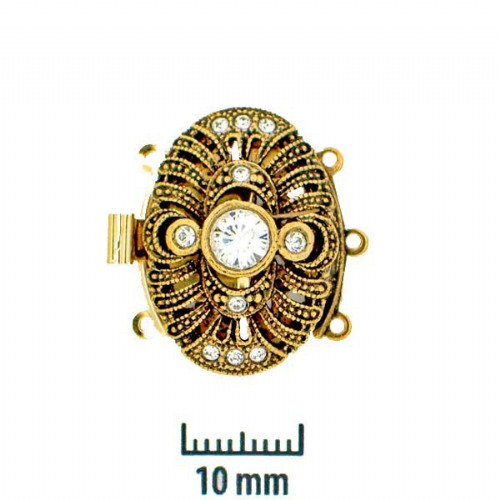 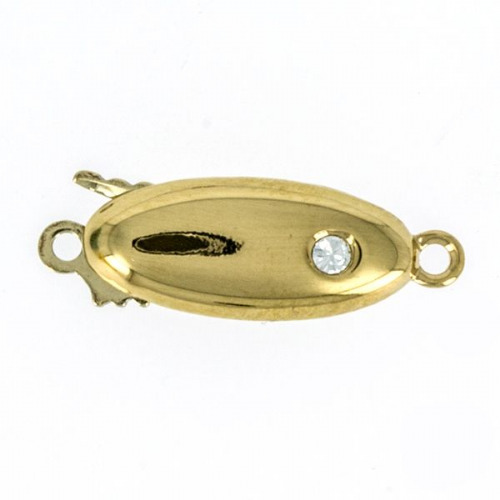 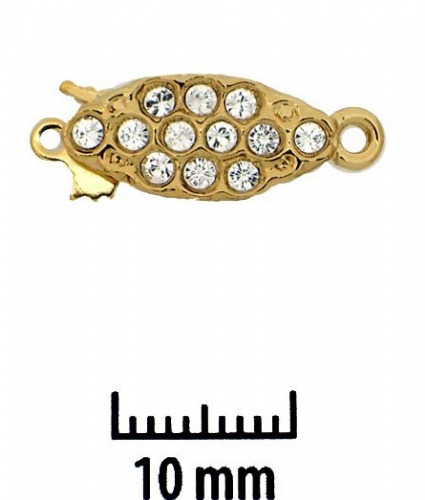 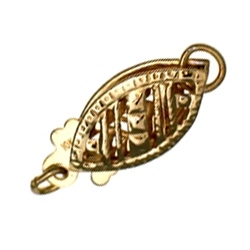 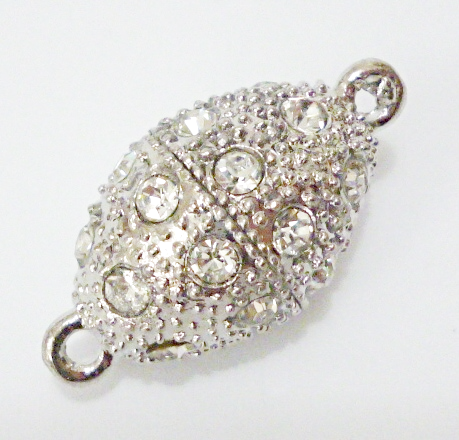 Oval filigree 'fish-hook' clasp in 9 carat gold. 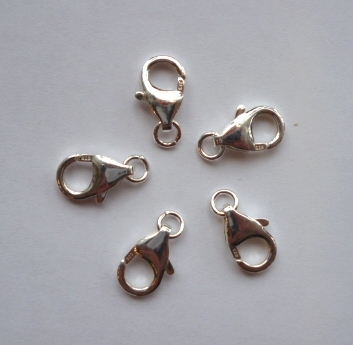 Sturdy and Practical Clasps at a Great Price!